As charged in one indictment, between February 2014 and November 2015, more than 20 defendants are charged with participating in a scheme to cultivate and purchase marijuana grown in California, transport the marijuana to New York, and distribute the marijuana to buyers and sellers for a profit of hundreds of thousands of dollars per month. During this time, JOHN KELLY, 52, and RICHARD SINDE, 51, are charged with acting as the ringleaders of the operation, and with the assistance of the other defendants, coordinated the collection and shipment of hundreds of pounds of marijuana from California to New York for distribution and resale. DESTINY SAETERN, 32, and MICHAEL GIAMMARINARO, 43, are charged with assisting with the cultivation of medical-grade marijuana on farms in California and purchasing marijuana from other local growers for export to New York, where the marijuana was typically mailed by U.S. Postal Service in individual packages weighing between 5-to-15 lbs., or packed into boxes and loaded into vans and other vehicles for transport, each holding between 100-to-150 lbs. of marijuana. STEPHEN GALLO, 64, is charged with acting as a primary distributor and seller. GALLO picked up packages of marijuana from UPS stores throughout Manhattan and transported the packages to storage locations until the contents could be redistributed and sold. LOUIS PAONE, 58, EDWARD PULLINI, 48, and BARRY SUSSMAN, 56, participated in the scheme by allowing the other defendants to store, unpack, and process the marijuana at locations they sanctioned for use, including PAONE’s personal residence, PULLINI’s relative’s business premises, and SUSSMAN’s warehouse in Long Island. GALLO then delivered and sold the marijuana to co-defendants who participated in the transportation, re-distribution, and sale of the marijuana, including: IVAN GABBE, 55, JOHN GILLETTE, 31, CHRISTOPHER KELLY, 49, VINCENT MOLINARI, 52, CARL MURACO, 52, JOHN MURACO, 67, WILLIAM OLIVA, 55, MICHAEL PARADISO, 76, FRANK PARISI, 60, and TODD POSKITT, 54. GALLO is also charged with selling marijuana directly to two undercover NYPD detectives posing as buyers. Following the indictment and subsequent incarceration of SINDE on a separate criminal matter in June 2015, LAWRENCE DENTICO, 33, assumed greater responsibility for working with JOHN KELLY and coordinating the shipping and distribution of marijuana from California, where DENTICO resided and oversaw farming operations, to New York. KELLY’s wife, ZHANNA DUMORNE, 39, also assisted her husband by funneling the proceeds of the scheme from New York to California through the use of a fictitious corporation, Regional Food Brokers, Inc. In total, the marijuana distribution scheme is alleged to have generated more than $15 million in illegal revenue, based on average proceeds of more than $350,000 per month over a 21-month period. As charged in a separate indictment, between April 2014 and March 2015, GALLO, GILLETTE, and a co-defendant, CHRISTOPHER ALVINO, 72, also profited from the sale of hundreds of illicitly acquired prescription pills. As part of the scheme, ALVINO supplied GALLO with oxycodone pills, which were then provided to GILLETTE for redistribution, or sold to individual buyers—which, in at least two cases, included undercover NYPD detectives posing as customers. The oxycodone distribution scheme is alleged to have generated at least $18,000 in profit, based solely on the transactions between the defendants and undercover detectives. Between November 2014 and November 2015, a separate indictment charges FRANK GALESI, 50, as well as GALLO, PARISI, and CARL MURACO, with conspiring to profit from illegal gambling. As part of the scheme, GALESI maintained a set of bettors, dealt directly with a gambling wire room, and served as a liaison for CARL MURACO, who acted as a master agent and maintained a master account to manage bettor accounts associated with a gambling website. GALLO and PARISI acted as CARL MURACO’s agents and were responsible for managing their own sets of bettors under CARL MURACO’s account with the wire room, recruiting new bettors, and collecting and distributing funds between winners and losers. The defendants shared losses and split the winnings, and for their role in the scheme, each individual received a so-called percentage or commission for his services. The illegal gambling scheme is alleged to have generated more than $1 million in revenue, based on records corresponding to bets placed through the wire room website. Finally, six separate indictments charge individual defendants with tax fraud for failing to submit tax returns corresponding to illegal income generated by some of the alleged schemes. The defendants include DUMORNE, GALLO, SINDE, JOHN KELLY, GALESI, and CARL MURACO. 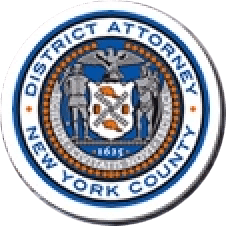 The Manhattan District Attorney’s Office’s Asset Forfeiture Unit has also filed civil papers against the indicted defendants seeking the forfeiture of illegal proceeds gained through the alleged crimes. Assistant District Attorney Brian D. Foley, Senior Supervising Attorney for Organized Crime, and Assistant District Attorney Kenneth Moore, Jr., are handling the prosecution of the case, under the supervision of Assistant District Attorney Michael Ohm, Deputy Chief of the Rackets Bureau, Assistant District Attorney Judy Salwen, Principal Deputy Chief of the Rackets Bureau, Assistant District Attorney Jodie Kane, Chief of the Rackets Bureau, and Executive Assistant District Attorney David Szuchman, Chief of the Investigation Division. Supervising Financial Investigator William Tamparo, Trial Preparation Assistants Michael Kelley and Jessica Lempit, Investigative Analysts Ryan Bacci and Abigail Sawyer, and former Trial Preparation Assistants Rachel Schorr and Jessica Laredo provided additional assistance with the case. Assistant District Attorney Lynn Goodman, Chief of the Asset Forfeiture Unit, and Assistant District Attorney Jonathan Chananie are handling the civil asset forfeiture action. District Attorney Vance thanked the following agencies and individuals for their assistance with the investigation: the NYPD’s Organized Crime Investigation Division (“OCID”), now Criminal Enterprise Investigations (“CEI”), and in particular, Detectives Raphael Vega and Christopher Carlin; Waterfront Commission of New York Harbor, and in particular, Former Senior Counsel and Special Assistant District Attorney Christine Maloney (New York County) and Detectives Lisa Paskewitz and Richard Capobianco; New York State Department of Taxation and Finance, and in particular, the Criminal Investigations Division; Fish and Wildlife Warden Mark Imsdahl (California); Eureka Police Department Detective Roland Spears (California); and U.S. Postal Inspector Hamid Beltre.